It is over two thousand years since Cleopatra VII died, yet the world continues to be fascinated by her story. Her very name (the numeral is unnecessary) conjures up images of exotic beauty, unimaginable riches, romance, decadence, lust and death. Is our fascination justified? Cleopatra VII, “our” Cleopatra, certainly led an interesting life. The last Ptolemaic queen outlived two sisters and two brothers (contributing to at least two of their deaths) to rule Egypt for over twenty increasingly prosperous years. The self-proclaimed living Isis, she enjoyed liaisons with two of Rome’s most famous and powerful men and bore their children. Her life ended with an apparent suicide that experts are still analysing today. A remarkable biography by anyone’s standards. And yet, Cleopatra VII was not the only Ptolemaic queen, or even the only Cleopatra, to lead an unconventional life. Cleopatra II ruled Egypt alongside her two brothers, Ptolemy VI and Ptolemy VIII, gaining wide respect as a supporter of the Jews in Egypt. She experienced tragedy when her second brother-husband murdered two of her children, but she refused to relinquish her throne. Her daughter, Cleopatra III, married her step-father (who also happened to be her uncle) and acquired her own personal divinity. She ruled Egypt firstly alongside Cleopatra II and Ptolemy VIII, then alongside her sons Ptolemy IX and Ptolemy X, until she was murdered by her younger son. Judged by the standards of her family, Cleopatra VII was perhaps less extraordinary than we may have been led to think. So, why does Cleopatra VII continue to fascinate, while all the other Cleopatras and Arsinoes who made up the Ptolemaic line, are more or less forgotten? The answer must lie with the media – the authors and poets of ancient Rome – who turned her into a celebrity soon after her self-inflicted death. A somewhat distorted version of Cleopatra’s story was preserved, alongside the stories of Julius Caesar, Mark Antony and Octavian (Augustus) in official Roman history. Shakespeare then took this story and transformed it into a compelling drama featuring a woman of exceptional beauty capable of an extraordinary passion. A Cleopatra who is likely to be far removed – in beauty and temperament – from the original queen. Subsequent stage and screen versions of Cleopatra have all been, to a greater or lesser extent, based on Shakespeare’s glamorous queen, so that today it is hard to think of Cleopatra without summoning a mental image of Elizabeth Taylor. Over the past few years there has been an outpouring of new books on Cleopatra VII. As there has been no substantial new evidence about her life and reign, these books are all forced to recycle essentially the same information. They are not, however, all the same book. Some authors approach Cleopatra from a particular angle – concentrating on her role as an Egyptian queen or as a consort of Mark Antony, for example. Some produce dry, scholarly books complete with references and lengthy end notes, which shy away from any statement unsupported by evidence. Others aim more directly at the popular market; they are prepared to sacrifice strict historical accuracy, to accept the writings of the Classical authors (which, as their authors lived decades after Cleopatra, cannot be regarded as anything approaching eyewitness accounts) and to draw a few imaginative assumptions in order to make their version of Cleopatra accessible to the general reader. All of these approaches are valid: each has its devotees. It can, however, be very difficult for new readers to distinguish between these different styles of books; as a general rule of thumb the credentials of the author give the strongest clue to the nature of the writing. Stacy Schiff definitely falls into the last camp. She is a Pulitzer prize-winning biographer rather than an Egyptologist or Classicist, and her reconstruction of the life and death of Cleopatra, although containing all the relevant historical facts, is clearly aimed at the general reader rather than the Ptolemaic expert. Schiff writes with an engaging style, which draws the reader in. Her Cleopatra evolves from the “fiery wisp of a girl” who first encounters Julius Caesar, to “a woman known for her crisp decisions and meticulous planning” who is capable of the most ruthless behaviour. Her book makes a good beginning for readers looking for an introduction to the last years of Egypt’s dynastic age. 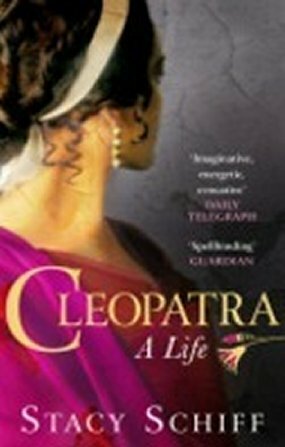 It is therefore unfortunate that the cover of the paperback edition of Cleopatra: A Life makes the book look more like historical fiction than serious biography, as this is likely to mislead potential readers. Adrian Goldsworthy (2010), Antony and Cleopatra, Weidenfeld and Nicholson, ISBN 978-0-297-84567-6. Duane W. Roller (2010), Cleopatra: A Biography, Women in Antiquity, Oxford University Press, ISBN 978-0-19- 536553-5. Joann Fletcher (2009: p/b edition) Cleopatra the Great: the Woman Behind the Legend, Hodder Paperbacks, ISBN 978-0340831731. Published by Virgin Books, 2011. Foreword by Zahi A. Hawass. The Alexandria Museum in Egypt is located in a restored palace in Alexandria, housing about eighteen hundred artefacts. The purpose behind the permanent exhibitions is to highlight important eras in Egyptian history and in particular, tell the story of the city itself. The catalogue is split into chronological sections covering Pharaonic, Graeco-Roman, Coptic, Islamic and Modern Age periods, each beginning with a brief summary of the period and the style of art work typical of that age (for example false doors, jewellery, statues). 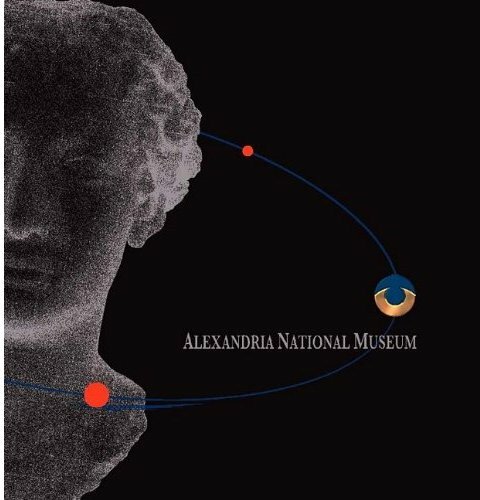 The book is richly illustrated with good photographs of many objects, but it is confusing; many of the artworks shown are not held in the Alexandria Museum. It is assumed that some are there to illustrate the history, while those actually on display in the museum are shown on pages that have a small icon of the artwork in the bottom corner. Some key items include a painted limestone head of Hatshepsut from Luxor, a grey schist statue of a prostrate Rameses II, who holds a shrine in front of him (from Karnak), and the marble head of a very modern-looking young man from the Ptolemaic era, sculpted in incredible detail. There are some errors in the book: for example an unnamed statue described as being “a roman emporer known for his love peotry”, but overall the book does give you the opportunity to look more closely at some of the museum’s key pieces. Published by the Egyptian Supreme Council of Antiquities Press, 2010. ISBN 978 9 7730 5558 5. Of all the books I have on the subject of Egyptology this slim volume, of just 192 pages, holds special memories for me. It was the first book on ancient Egypt that I ever read, a book which would spark a life long interest and an entirely new career for me – as a lecturer in Egyptology. Although the book is largely concerned with the scientific investigation into the child mummy know as 1770 the first three chapters offer a general introduction into the geography and history of ancient Egypt – exactly what the uninitiated reader requires, and the largely black-and-white illustrations (as was usual for the day) fire a thirst for more information about those ancient times. 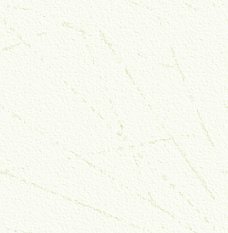 Although much information is given about social life in Egypt it is the pages describing Egyptian religious beliefs that are perhaps the most interesting. Many pages describe in depth the arts of mummification and the lengths to which the Egyptians went to protect their dead from harm, and these serve as an introduction to the second part of the book, placing in context the scientific investigation of mummy 1770 at Manchester Museum. The investigation itself started with the unwrapping of the mummy, an unusual occurrence even back in the 1970’s. With its fine cartonnage mask and cartonnage sandals it was apparent that this mummy was once a person of high rank and she had been carefully wrapped and false limbs made for her. The examination of this mummy marks one of the earliest interdisciplinary studies and as such a full radiological examination of the body was undertaken. To X-ray a mummy now is comparatively normal, but back in the 70’s this was seen as a groundbreaking advance in science and it raised many questions which the physical examination of the mummy hoped to resolve. The teeth, infections and diseases suffered by the Manchester mummies are all discussed and the findings compared with that of mummy 1770 in order to try to establish a possible cause of death. The fact that the body had lost much of its external tissue suggested that it had suffered a prolonged period of immersion in water and so it was possible that we were looking at a rewrapping of the mummy, perhaps conducted some time after the original burial. This idea was later confirmed by radio-carbon dating of the body and the wrappings. 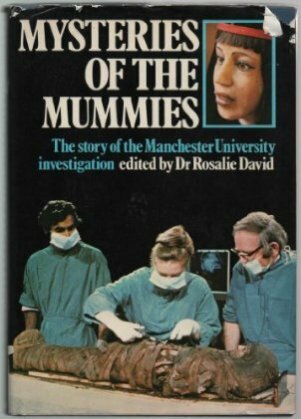 One of the final chapters of the book looks at the scientific reconstruction of the faces of the mummies in the Manchester collection, a relatively new technique previously only used for police forensic work and pioneered, by the Department of Medical Illustration at the Manchester Royal Infirmary. The reconstruction of the face of 1770 showed an attractive teenage girl who died whilst still young. Who she was, and what her life was like we will never know, but her death and mummification tells us much about Egyptian health, their beliefs and burial methods. In short this book, although now superseded by later volumes, provides an excellent introduction into the study of mummification and Egyptian health and so is worthy of a place on anyone’s shelf. Victor Blunden studied Egyptology at both Manchester and Liverpool Universities before teaching the subject at Manchester University. He now lectures throughout the North West of England for the WEA (Workers’ Educational Association), and is a well know speaker throughout the UK. His main areas of interest are in Egyptian art and Egyptian religious beliefs. He writes the Netfishing page in each edition of AE .